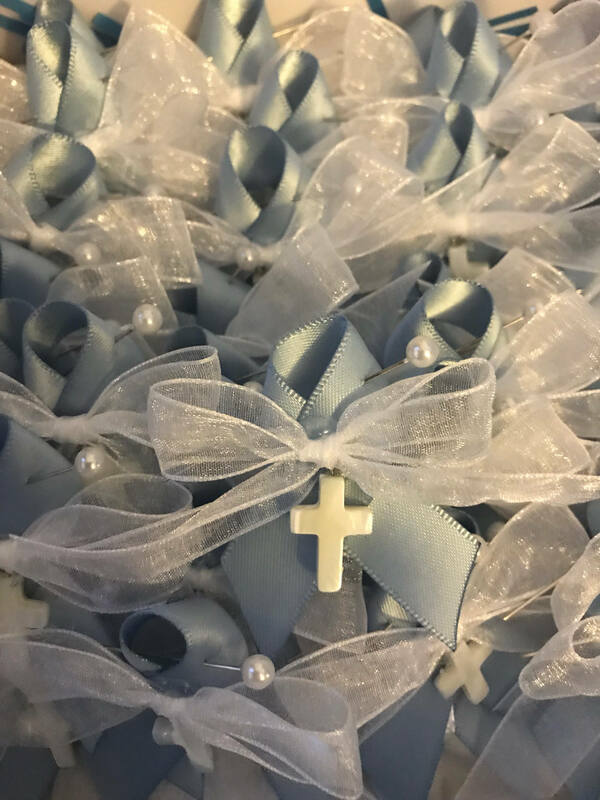 Blue martyrikas with a sheer white bow delicately placed on blue satin ribbon and a pearl cross in the center. The martyrika is pinned with a straight pin embellished with a pearl head. 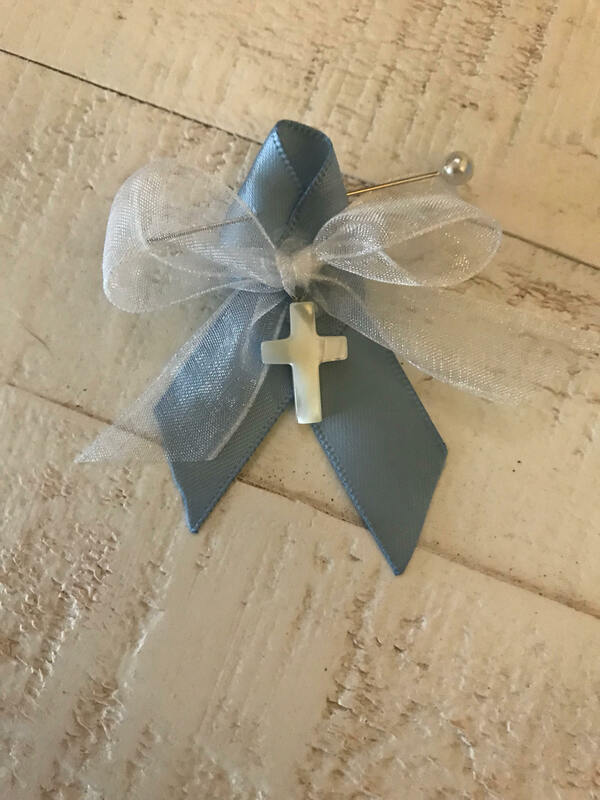 These martyrika pins match the “wrapped in hugs” and “simple blue boy” baptism candle sets. 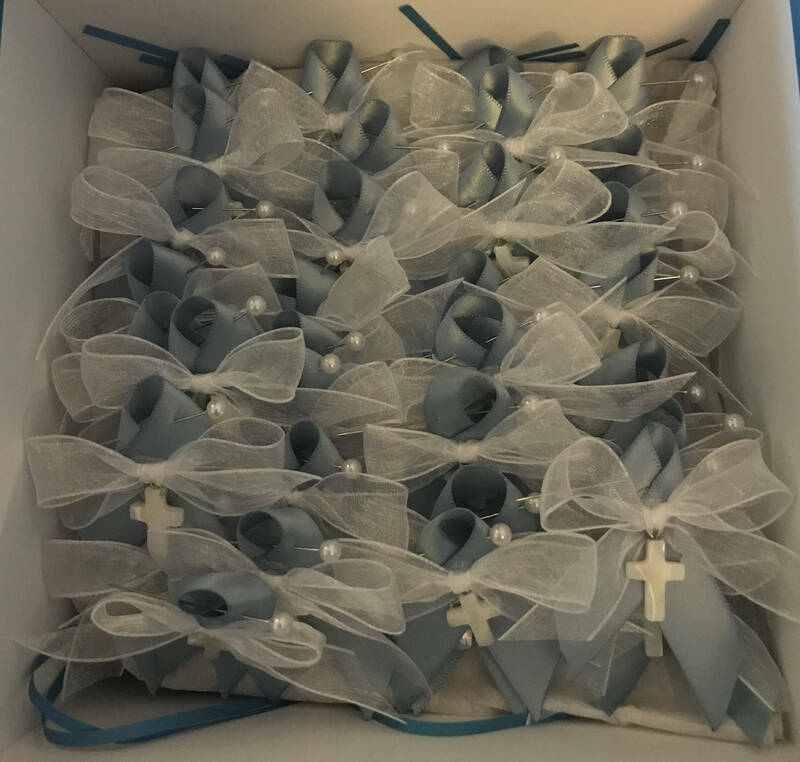 Pins come packaged in a giftbox. What you see in the photos are samples; I will re-create your pins as close as I can to what you see, or in any variation you would like. Martyrika is a Greek word which means '"sign of witnessing". 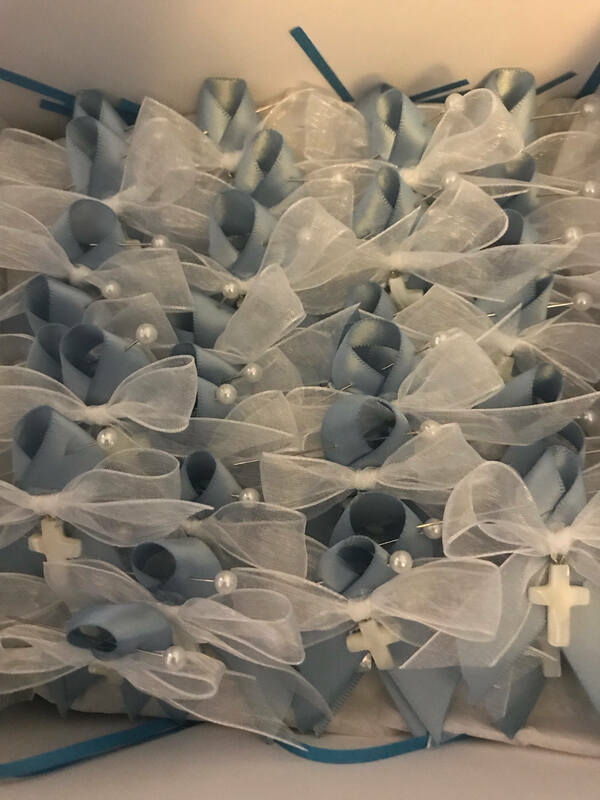 Traditionally in Greek Orthodox Baptisms, Martyrika are pinned on the guests' lapel upon arrival at the church as an honour for attending and witnessing a Baptism. To fulfil your order, you must provide me with certain information (which you authorized Etsy to provide to me), such as your name, email address, postal address, payment information, and the details of the product that you’re ordering. You may also choose to provide me with additional personal information (for a custom order), if you contact me directly. For purposes of EU data protection law, I, am the data controller of your personal information. If you have any questions or concerns, you may contact me at haroulashappenings@gmail.com. Please use caution when lifting the candles out of the box and when you unwrap them. Keep out of the heat. Please send me a message and we can discuss your request. Please send me a message with your request. Exactly as I ordered. Great packaging to protect such fragile pieces. I highly recommend!